The Los Angeles—Long Beach—Santa Ana area can be overwhelming at times with it’s many highways and voluminous rush hour traffic—especially if you are stranded on one of the many freeways or highways of Santa Ana out of gas, have a dead battery, or need a tire change. 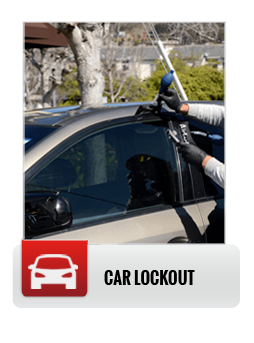 Where can you turn for reliable roadside assistance in Santa Ana at times like this? 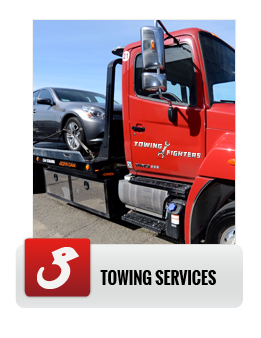 Towing Fighters not only provides emergency Santa Ana towing, it also provides Santa Ana emergency gas filling and tire change roadside assistance. With our quick and reliable roadside assistance you’ll soon be on your way to your Santa Ana job, South Coast Plaza Village Shopping Centeror recreation area. A flat tire can occur anywhere in the Santa Ana area requiring fast, reliable roadside assistance. 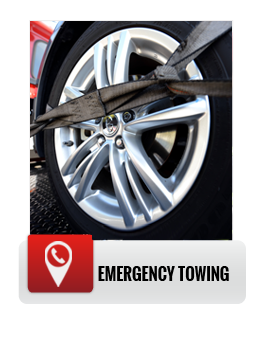 With Towing Fighters’s 24/7 dispatch service, tire change roadside assistance is provided by one of our qualified technicians and gets you going once more to your Santa Ana destination. Whether you are on the side of the highway or even still in your driveway, Towing Fighters’s roadside assistance will be there and make that tire change with fast and reliable service at an honest price. Out of gas? Call us and we’ll bring the gas to you with our roadside assistance whether you are out of gas because the traffic flow didn’t allow you to make a timely exit or you just forgot to fill up the tank before you went home. No matter what the cause, that sputtering sound is alarming. 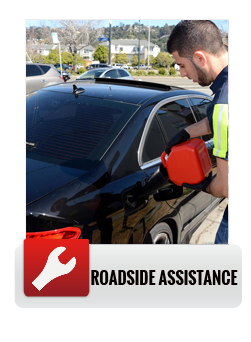 Call us for quick Santa Ana out of gas roadside assistance relief. On the weekend you’re ready to let some dirt fly on an off highway trail. You hitch up the trailer of four-wheelers to your four wheel drive truck, and fly down the highway, the adrenalin pumping, just to arrive at your destination to find that one of your off road vehicles has a dead battery. Worse than that, no one has jumper cables. Call Towing Fighters and let them rescue the weekend with their off road roadside assistance. Did you forget to fill the extra gas cans before you left or perhaps you just burned up more gas than you planned now you are out of gas a long way from your trailer? Maybe that truck or jeep needed some work you weren’t aware of and stranded you. Whatever the problem, let Towing Fighters be your weekend off road recovery and roadside assistance specialists.